With summer fast approaching, warm weather activities and fun in the sun can’t be too far off. The grill comes out of storage and our minds turn to BBQs and summer salsa. Refreshing drinks are the order of the day, with home-made lemonade for the kids, and sangria for the grown-ups. And who doesn’t enjoy a nice chocolate shake? Or my favorite, a creamy root beer float. 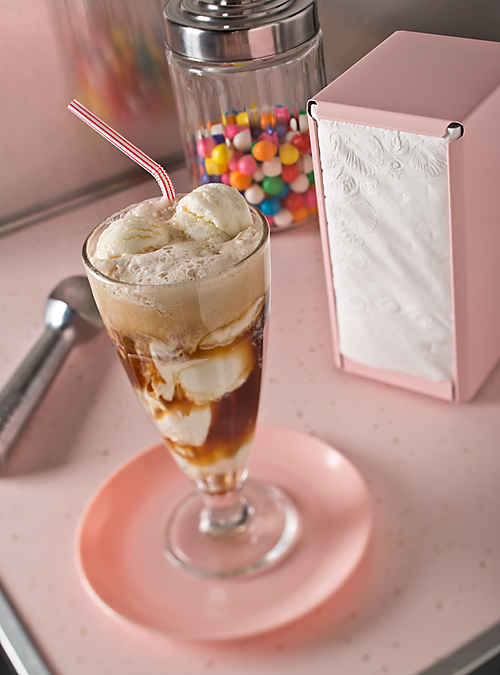 They’re simple to make, right… just vanilla ice cream and your favorite root beer! But why not get the kids involved and try making your own fresh root beer at home. Not only is it a fun learning activity that will keep your family busy on a rainy afternoon; but unbeknownst to them they’ll be doing a science project at the same time. My root beer making kit was gifted to me by my wife, but you can order them online and have them ready for that inevitable dreary day. Then when the sun finally does comes out, it’ll be root beer float smiles all around !